The Now and Future of Portable Data Transfer and Storage, USB Flash Drives are established as the most convenient and accepted portable memory devise for today and the future. USB Flash Drives are the most convenient, versatile, and affordable portable memory devise on the market. USB memory sticks are the devise of choice for sharing files, product catalogues, marketing presentations, and software distribution. Because you can re-write and re-use this devise, it is a great tool to back-up files. The simple plug and play capability of USB Flash drives make it a great promotional gift—especially with a small pre-load with product marketing information. 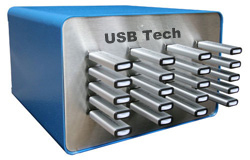 Consistently reliable USB 2.0 Flash Dives are the result of precision manufacturing and tier one quality selection. At Got Media, we deliver only the best quality Flash Drive graded as tier one—during the manufacturing process. Got Media offers custom printing and multiple packaging options to meet your individual needs for USB Flash Drives. Browse our extensive list of easily available designs. We feature the most popular, and the unique styles of USB Flash Memory Drives---from 256MB to 8 GB. ABOVE PRICING INCLUDES FLASH DRIVE, 1-COLOR IMPRINT ON 1 SIDE OF USB DRIVE. STANDARD DELIVERY TIME IS TWO WEEKS FROM ART APPROVAL. If you already have your USB Flash drives and just need duplication only.....no problem. 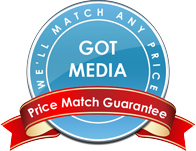 Got Media maintains a full service USB duplication center for its USB Flash Memory customers. From data uploading through final packaging, our attention to every important detail, and our commitment to the highest quality service, insures a successful experience. Timing issues, data confidentially, and data security issues often necessitate data uploading being performed locally--- and many times just prior to the needed delivery of the completed USB memory sticks. Your data uploading will be carefully monitored during the duplication process. We will upload your confidential data and verify that the copied data is exactly the same on every duplicated flash drive. After uploading, and before removal from the from the duplication system, each flash drive is verified to insure that the copies contain an accurate transfer of the exact quantity of data from the supplied master. Subsequently, a minimum of 5 % of the uploaded flash drives are quality assurance tested on separate computers to insure the accuracy of all the transferred files. You can be confident that Got Media will protect and insure the confidentiality, data integrity, and accuracy of all USB flash drives duplicated in our facility.